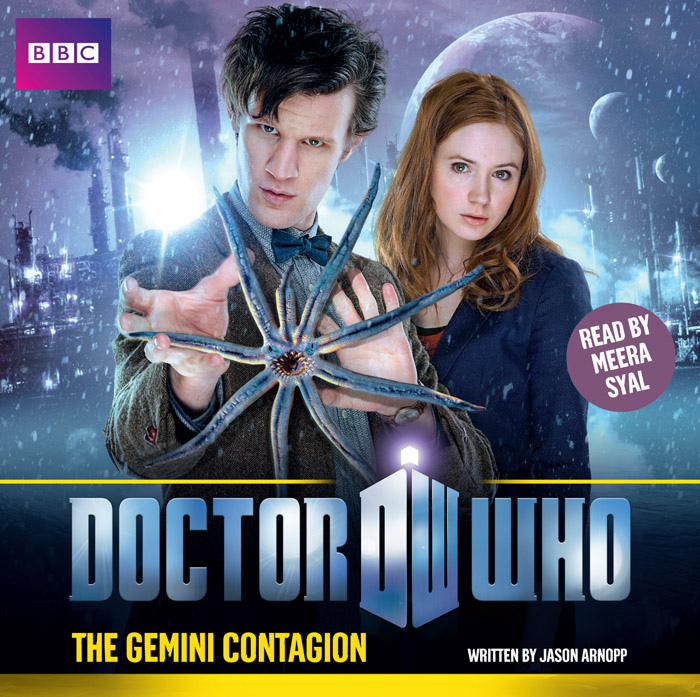 This 2011 BBC audiobook featured Matt Smith's Doctor and Amy Pond. It was read by the actress Meera Syal CBE. Set in 2112, the story centres on a handwash with a killer USP: it instantly teaches you every language in the universe. Unless you're human, in which case it transforms you into a wild-eyed beserker who staggers around grabbing people and shrieking "Listen to me!" And so an anti-viral handwash becomes a virus, with nasty later mutations in store. Along with The Demons Of Red Lodge, this is my favourite of the Who stories I've written. When I told former Who showrunner Russell T Davies the title, he replied, "Ooh! We've never had a Contagion before!" I wrote the title-story of this anthology, which also features tales by Rick Briggs, William Gallagher and John Dorney. Peter Davison stars as the Fifth Doctor, alongside Sarah Sutton as Nyssa. The Doctor and Nyssa wake up in complete darkness, unable to remember where they are or how they got there... and overbrimming with irrational fear and panic. I co-wrote this four-hour 2012 mini series with Nicholas Briggs. An epic spanning various continents and dimensions, it stars Sylvester McCoy as the Seventh Doctor, Alex Macqueen (The Thick Of It, The Inbetweeners), Tracey Childs and Beth Chalmers. The dead are rising and taking no prisoners! This four-part audio play stars the Eighth Doctor (Paul McGann) and Frankenstein author Mary Shelley (Julie Cox). The great cast also features David Harewood, Eva Pope, Carolyn Pickles and Mitch Benn.